The Chapel At St. Malo's is a photograph by G Wigler which was uploaded on January 11th, 2014. 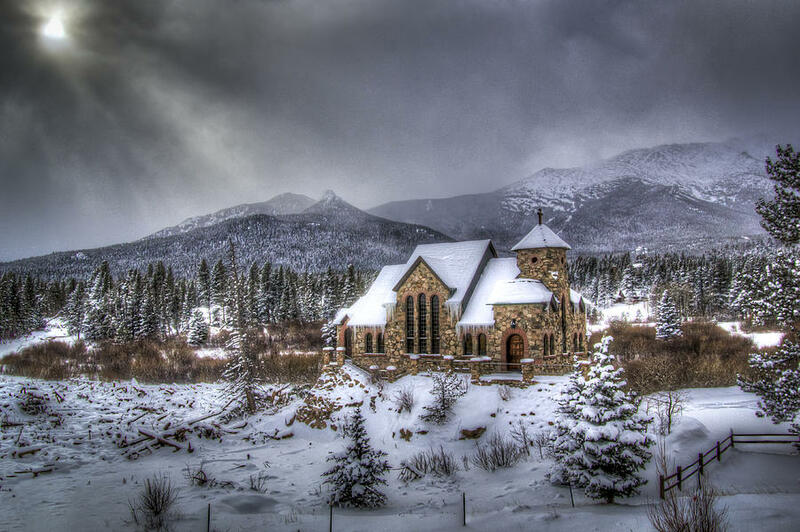 The Chapel at St. Malo's on Highway 7 near Allenspark and Estes Park and the Rocky Mountain National Park. Clouds are blowing snow from Mt. Meeker and Long's Peak. Broken trees from the September flood. Snow can make devastation scenes lovely. There are no comments for The Chapel At St. Malo's. Click here to post the first comment.